By now, a large percentage of business leaders and network administrators haven’t just heard about SD-WAN solutions, they’ve researched the advantages that this technology can provide and considered it for their organization. In many cases, an SD-WAN deployment can result in reduced IT costs, lessened network complexity along with enhanced oversight and increased performance of key applications. As noted, much has been written about the benefits of an SD-WAN. Among the most highlighted are the solution’s ability to provide robust, reliable network support, ensuring the critical performance of your company’s most valuable applications and online platforms. After you’ve read the use cases, though, it’s time to dig into the nitty-gritty of the technology’s features and capabilities. Traffic routing: SD-WAN has the ability to proactively route traffic, not only according to your IT team’s unique policies, but in alignment with the traffic patterns and critical metrics the solution measures and experiences on its own. It’s truly an intelligent solution capable of learning about its environment and internal company resource usage. Analytics reporting: Speaking of critical metrics, this technology measures an array of important performance-impacting factors across the network, providing the most granular visibility possible. SD-WAN can offer details about the latency, jitter, packet loss and overall availability of each network link, ensuring that the IT team always has the best picture of WAN activity and support. Physical or virtual support: Businesses have the option to leverage a physical appliance at each site, or utilize a software-only configuration on commodity hardware. This means companies are able to select the best method that will seamlessly integrate with their existing infrastructure. What’s more, Talari Networks offers several SD-WAN-based solutions with an array of other features, including orchestration, firewall, VPN and VRF support. Check out our website to find out more. An SD-WAN can help unite separate business locations and IT resources into a single, streamlined infrastructure. Have a hybrid WAN? No problem! When it comes time to deploy your SD-WAN, it’s important to know that this technology supports all kinds of WAN configurations, including hybrid WANs that leverage several different links. These types of setups are being seen more often in businesses in every sector, as they enable organizations to utilize the most cost-effective connectivity to match their needs. In this way, should your enterprise have all MPLS links, all broadband, LTE or satellite, SD-WAN can be laid on top of the WAN to ensure the best use of available resources. 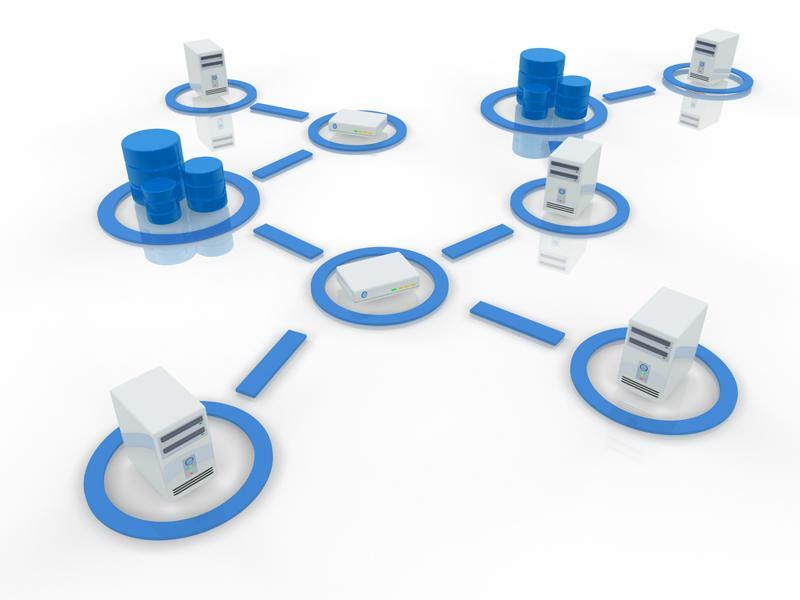 Even links that might have been only used for backup or failover in the past can be leveraged as part of a responsive and supportive network. What’s more, an SD-WAN has the power to support your organization no matter how far-reaching your network happens to be. Even companies with multiple branch offices located in different corners of the country or the world that rely on several applications hosted from different sites can reap the advantages SD-WAN has to offer. Finally, once you’ve selected the type of SD-WAN-based tool and the style of deployment, it’s important to know that the actual installation of this technology is simple and effortless. This is especially beneficial for branch office locations that might not have a member of the IT team in place. In many cases, deployment involves an easy-to-follow, three-step process. Once installed, a network administrator is able to tap into the central management capabilities to ensure that metrics are being measured and the right visibility is in place. For many business decision-makers, the journey to an SD-WAN has moved beyond the research phase. When it’s time to deploy this powerful technology, contact the experts at Talari Networks. We’ve been an industry leader since the beginning, and we have the tools, expertise and knowledge to help ensure that your solution matches the needs of your business and that your deployment and use of this asset is seamless. To find out more, check our solution data sheets and contact us today.